The AW 100 is the first in Nikon’s new AW series of waterproof, shock-proof, cold-resistant compact digital cameras. It comes equipped with outdoor shooting features that include GPS support, an electronic compass and map display, and action control. The Good: The Nikon Coolpix AW100 camera is pretty amazing. 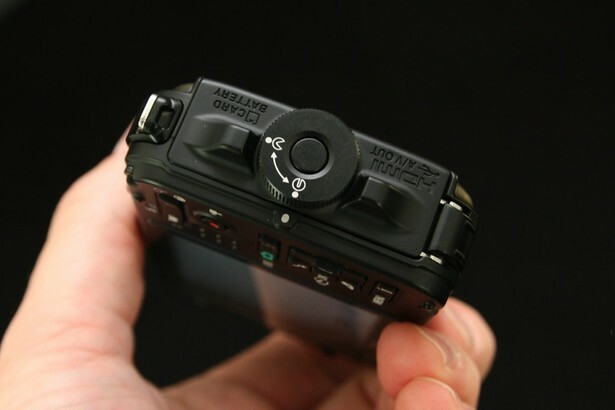 It is shock proof and waterproof, with a smarter SD card/battery compartment than most waterproof cameras I’ve seen. You have to twist and push down in order to open it, which makes an accidental popping-open accident unlikely (Doh! Kodak PlaySport!). The image quality is amazing for the video, recording in full 1080p HD. Not the best at action shots, but the photo quality is great otherwise and can capture great panoramas. There are lots of great settings to play around with as well. The Bad: There is a bit of an annoyance if you are trying to see a picture after you’ve taken it “please wait for image to process.” It seems to take a lot longer than most cameras, so if you are trying to quickly see if the shot was good… you’re going to have to wait. The only issue I can see affecting the longevity of this camera in extreme conditions is condensation. After being out all day in tropical weather, recording too long in the heat caused the camera lens to fog up. As a result images turned out with a blurred out spot, and the display screen seemed to also have issues with the humidity – a possible cause for alarm in the future. Thanks so much for this review. We’ve been shopping around for a few weeks and were looking at this one. You definitely test the limits out there in the tropics! great to hear! Let us know how it turns out!